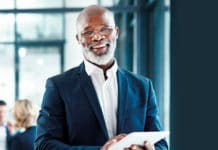 The African Corporate Governance Network (ACGN) is a collaborative network of director membership organisations that promotes effective corporate governance in Africa. 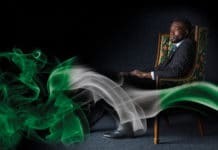 It has 16 members and seven affiliate members from 16 African countries, representing more than 16,000 senior executives and directors across the continent. The ACGN was formed to develop institutional member capacity for enhancing effective corporate governance practices, building better organisations and corporate citizens in Africa. It serves as a unique platform for Africa’s many Institutes of Directors and Institutes of Corporate Governance to share and compare information and research on the benefits and successes, challenges and impediments, strategies and approaches deployed by country-level institutes in addressing ongoing corporate governance challenges in Africa. The countries covered in the research underpinning this report are the current ACGN member body countries as at the date of publication of the report. All are developing economies in the African emerging markets, including Africa’s three largest economies – Nigeria, South Africa and Egypt. The report provides a ready-reference set of case studies for countries seeking to develop their corporate governance systems. Each country chapter contains a high-level summary of the current state of the corporate governance framework, against the background of the country environment and development history. 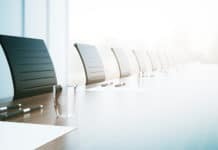 In most instances, corporate governance is a relatively new development and the countries vary significantly as to the stage of development of their corporate governance infrastructure. Evident from the literature surveyed is the growing awareness that sound corporate governance is a prerequisite condition for growing the development of capital markets and access to finance in Africa. In light of the generally favourable economic growth expectations in many African countries, the stage of development of corporate governance is acknowledged as a significant factor in assessing the relative level of development of Africa’s financial markets. The 13 countries have markedly different political and economic profiles – a significant factor influencing the corporate governance environment. Both the political environment and the stage of economic development are evidently conditioning factors. 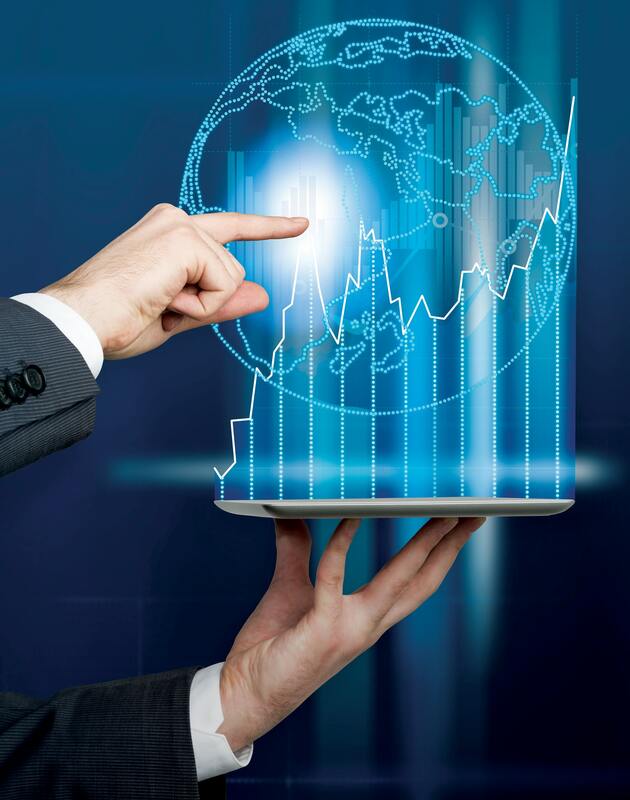 In general, countries with more developmentally advanced economies, such as Mauritius and South Africa, show more advanced corporate governance frameworks. Countries with a political environment that emphasises the importance of private sector development and are demonstrating successful implementation of national plans to advance the level of economic development – notably Egypt, Kenya, Mauritius – also show strong levels of investment in further developing their respective corporate governance frameworks. The development pathway of each country is quite different, both as to the historical and the present-day context of the country’s corporate governance. The historical background typically reveals the development origins of the country’s corporate governance infrastructure. For example, countries that experienced strong Anglo-Saxon/English law influences show evidence of earlier development of corporate governance infrastructure through earlier adoption of key features of English law, such as English company law (Ghana, Kenya, Zambia, Zimbabwe). Countries with a post-independence history of state-control of the national economy typically display underdeveloped corporate governance systems (Mozambique, Uganda, Tanzania, Tunisia) and need a significant level of investment to fast-track development and implementation of basic levels of corporate governance infrastructure. This is often an area of focus in devoting effort to stimulate economic activity in a typically under developed private sector environment. A number of the countries surveyed have evidently more developed corporate governance frameworks (Egypt, Mauritius, Nigeria, South Africa). Others are developing key corporate governance infrastructure elements off the back of significant international input and support, including from development aid or development finance bodies (Ghana, Kenya, Tunisia, Zambia). A few have a less developed corporate governance infrastructure perhaps in line with perceived lesser priority of corporate governance in the country’s wider development agenda (Malawi, Tanzania). Implementation of corporate governance systems and implementation monitoring Evident from this report is that the development of such systems is very much a journey that involves a variety of role players across the spectrum of the political and business environment. In line with international research literature on development of corporate governance systems, the level of political and economic development in each country is a key influencer of the state of corporate governance. A number of key themes emerge from this report. A review of literature on corporate governance implementation pointed to this being among the root causes of weak corporate governance within a country. A frequent observation is that even when soundly designed systems of corporate governance laws and regulations, standards and codes are present, there is oftentimes an observable lack of capability to properly apply and implement them. This is typically a significant impediment across all types of institutions – in both the public and private sectors, in both the regulated communities and the relevant regulators. Further, regulatory institutions may not be sufficiently independent, either of political or government institutions or of their regulated communities, to discharge their regulatory responsibility in a manner that engenders public confidence in those institutions to execute their regulatory mandates effectively and efficiently. What factors are influential in advancing development of corporate governance in Africa? There is a range of influences at work shaping the development of corporate governance across these 13 countries. At the level of the political economy all the countries covered have experienced or are experiencing, to a greater or lesser extent, a focus on the need to give attention to their country governance systems and practices as part of advancing their economic growth potential. Coupled with this is a focus on the need to invest in sound corporate governance infrastructure as part of developing or promoting sound financial systems to attract foreign investment and/or infrastructure to support the development of capital markets in the region and promoting investor confidence. Egypt, Kenya and Tunisia feature prominently among the countries that show leading initiatives in this space. The role and contribution of development finance and development aid bodies cannot be under-estimated. These role-players actively foster improvements in the country level governance environment. Countries with high levels of public debt (Ghana, Malawi, Uganda) are significantly influenced by incentives set out in development targets and plans contained in international funders’ country strategies established to assist their progress in economic development. These typically include measures aimed at delivering improvements in both the country governance environment and, in some cases, to corporate governance systems in order to strengthen the role of the private sector in stimulating economic activity supporting economic growth. Key considerations are often in the sphere of addressing the challenges inherent in the typically large informal economies present in many under developed economies, where the overwhelming perception is that there is no role for corporate governance in promoting effective implementation of anti-corruption strategies to reduce the impact of economic distortions which perpetuate conditions of economic under development and discourage the participation of foreign investment. Especially relevant are the various international indices and the voluntary country-level assessment programmes that shine a light on areas of both country-level governance and corporate governance systems. The African Union’s Africa Peer Review Mechanism (APRM) is a significant initiative that has given impetus to development of corporate governance systems in the African environment. A key contribution of application of the open and transparent APRM assessment process is that it specifically addresses corporate governance as one of the key pillars needed to foster sound economic development. Ten of the 13 countries covered in this research have undergone the APRM review. Similarly, the World Bank’s assessments of adherence of key standards and codes through publication of its country-level Reports on Standards and Codes (ROSC) encourage development of corporate governance systems to achieve alignment with the OECD Corporate Governance Principles and development of financial, accounting and auditing infrastructure to support sound financial systems. All the countries covered in this research have undergone ROSC reviews, with six having undergone ROSC reviews for corporate governance. An important role is also played by international rankings that shine a light on factors that influence economic development, including the Transparency International’s Corruption Perceptions Index, the World Economic Forum’s Global Competitiveness Index and the World Bank’s Doing Business Surveys are increasingly important. These indices track a country’s level of responsiveness and efforts applied to influence factors that promote economic development, including fostering sound corporate governance systems to promote investment activity. Finally, collaborative effort between regulatory institutions and private sector bodies is a key ingredient for success. Implementation of corporate governance systems requires significant buy-in from the private sector. Corporate governance systems work best therefore when, rather than being imposed through regulation, they are the product of constructive dialogue and use of an approach that maximises the participation of the private sector. In this context Institutes of Directors and other commercial advocacy bodies play a critical role, both in advocating this approach and also supporting implementation of corporate governance laws and regulations, standards and codes. The account of how corporate governance has developed to date and continues to develop in these countries shows a great deal of encouraging activity in their unique journeys. Key learnings are that while development is taking place at different paces between them, an accelerated level of development can be achieved by leveraging knowledge gained from implementation experiences of those countries with more advanced or well-established systems. Further, with significant levels of international support and resources available to assist the process, every country should endeavour to leverage those resources in tandem with further advancing their economic development objectives. Encouraging private sector leadership and involvement in development of corporate governance systems is a further critical success factor. 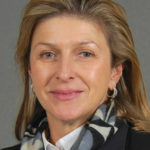 Joanne Henstock is Executive Director (Governance and Integrated Reporting) at Ernst & Young South Africa.